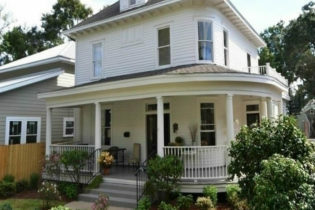 Built in 1840, Aunt Dot’s Bed and Breakfast in Bay Saint Louis, MS was recently restored to historic specifications. Rooms throughout are filled with family antiques and heirlooms. The house has been part of our family for almost 100 years and is named for my aunt, Dorothy Simons Phillips. Aunt Dorothy, or “Aunt Dot” as we called her, was a wonderful hostess and cook. As a tribute to Aunt Dot, we continue her tradition of warmth and hospitality. When you stay with us, you’ll enjoy breakfast in the morning and wine and cheese in the afternoon. You’ll want to take a short walk west along Beach Boulevard to Main Street. Along the way, you’ll pass the finest dining Bay St. Louis has to offer. Turning up Main Street, you’ll find unique businesses and art galleries on both sides of the street. 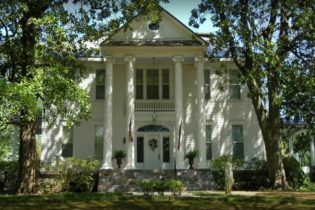 The Court Square Inn Bed & Breakfast is located in beautiful Holly Springs, Mississippi, where you can polish your golf swing at The Kirkwood Golf Club or cheer on Ole Miss at The University of Mississippi. You can also come see the Hummingbird Migration Celebration or take a walk through the Mississippi Blues Trail. The Court Square Inn Bed & Breakfast is located in Holly Springs, Mississippi, is conveniently close to the Kirkwood Golf Club and The University of Mississippi, for your sporting interests. You can also come see the Hummingbird Migration Celebration or take a walk through the Mississippi Blues Trail. 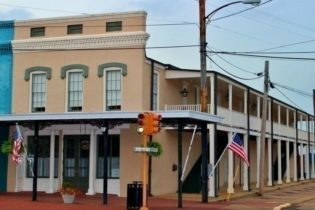 Court Square Inn features three luxury suites located on the second floor overlooking the Marshall County Court House and the Holly Springs town square. The building was originally built circa 1865 and went through extensive renovations in 2007. Each suite is a fully furnished apartment with a full kitchen and washer and dryer, making them perfect for extended stays. Guests can enjoy relaxing in their own private living room or the second floor balcony that extends the length of the building. The hosts are very attentive to the traveling needs and sightseeing desires of their guests. Assistance in planning day trips, walking and guided tours, and dining is available. Several restaurants and historical sites are within easy walking distance of the Inn. Historic charm and Southern Hospitality at a Luxury Inn. 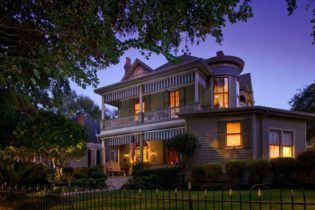 The Fairview Inn, Jackson’s only Four Diamond Bed & Breakfast, invites you to experience this unique 17-room Bed and Breakfast in a beautiful 1908 Colonial Revival mansion. 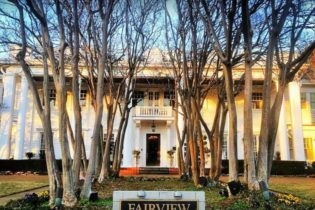 One of the few architecturally designed homes of that period remaining, the Fairview Inn exudes the rich history of Jackson, Mississippi. Located in the Belhaven historic neighborhood, the Inn is minutes away from downtown Jackson’s Arts, Theater, Museums and Shopping. Antique and boutique shops are also close by in the nearby Fondren District. 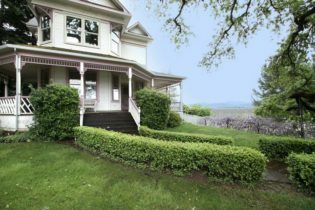 The Fairview Inn offers the charm, ambiance and hospitality of a small bed & breakfast with the full service amenities of a luxury hotel. Fairview Inn is perfect for leisure or business travelers and offers a tranquil setting with over an acre of pristine gardens. Experience the best dining in Jackson, Mississippi, right here in the Fairview Inn at 1908 Provisions Restaurant serving dinner Monday through Friday and Sunday Brunch. The Fairview Inn offers peaceful rest and relaxation at nomiSpa. Enjoy massage treatments, Dr. Hauschka facials, body wraps/scrubs, detoxification, reflexology, aromatherapy baths, hair removal, manicures, and pedicures. The Fairview Inn is also the perfect place for corporate events, receptions, and parties. The Fairview Inn’s on-site bar, The Library Lounge, offers unique craft cocktails, micro-brewery draught & bottled beer, fine wines and delicious small plate hot and cold appetizers. Come celebrate true Southern Charm at the Historic Fairview Inn! Welcome to Pleasant Hill, our historic bed and breakfast, located just two blocks from the business and shopping district of downtown Natchez, Mississippi. Pleasant Hill is an excellent example of a well designed and executed city residence of the 1830's. 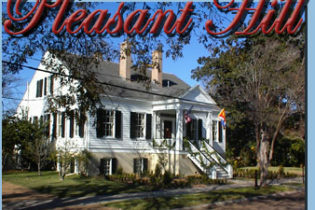 Pleasant Hill Bed & Breakfast was originally built by John Henderson, a prosperous merchant, publisher of the local newspaper, and a founder of Natchez’ First Presbyterian Church. The original home was built on property that is now the location of another famous antebellum home, Magnolia Hall. That was circa 1811- 1835. Over a two-year period during the 1850’s Pleasant Hill was moved one block south on log rollers by oxen teams, a feat that would seem futile by today’s standards.